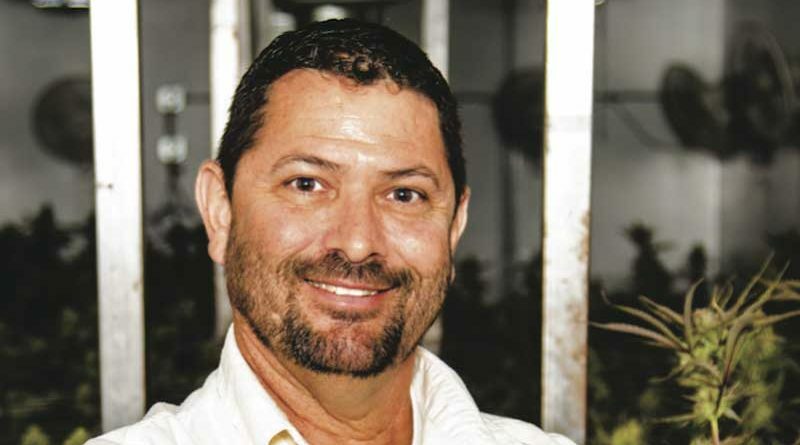 Dan Herer is an industrial hemp developer who works with a team of scientists studying hemp and biomass sciences. He is also Director of the California-based Jack Herer Foundation, which works to advance the hemp industry by carrying on the work of his late father, legendary hemp advocate Jack Herer, author of the landmark hemp tome, “The Emperor Wears No Clothes.” HT catches up with Dan to talk about the current hemp scene, and about carrying on in the Herer tradition. 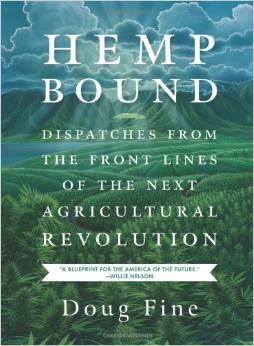 HT: What would Jack think if he surveyed the hemp scene today? DH: When I go to hemp events and I look around – how big they are, how many people, companies, products – it’s really staggering. I think he’d be amazed, frankly, and he’d feel quite proud, and a great sense of accomplishment that this work is being done. But he’d be horrified that there are some people out there making tremendous amounts of money, enriching themselves, who don’t give back to the industry and to their communities. There is not a lot of education being done at the constituent level in the community, and that’s why it’s so difficult at the legislative branch to make good laws regarding hemp and cannabis. He’d be appalled at seeing some in the industry who want to control things out of greed who, ironically are using the same old tactics the chemical and petrochemical companies used to bring prohibition against hemp and cannabis in the ‘30s. HT: And what would his message to these kind of players be? DH: We have to set new standards for how to work together to build the industry, not fall into the trap of greed. Not that it shouldn’t be profitable; it just shouldn’t be rooted in greed. This is a plant that belongs to the world, not to a government, an individual or company. We need to share the technologies, the ideas and resources. We need to raise the water for everybody. And because hemp and cannabis still suffer from demonization, he’d say we need to be better than the best companies in all of our business practices. My father was hard to satisfy. He’d say this is a movement that’s still under intense scrutiny. We have to represent hemp products as accurately as possible. HT: What’s the Foundation’s strategy for growth and development? DH: There are really two key parts to it. First, education and second, education. We can petition and protest government all we want. But we can win by attrition, like what’s happening in the US now. This is working but it is slow going. Where we really need to start is at ground level, educating voters on the right and the left, to get them thinking about hemp and all it can do for the community and the planet. Then it’s about community, and especially the farming communities. Show them how industrial hemp farming can change their lives. Show them how hemp products are impacting their lives everyday with the products they use without even knowing it’s in things like the cars they are driving – Mercedes Benz and BMWs are made better and safer by the use of industrial hemp. HT: What’s the message to the farmers themselves? DH: I’m not a farmer, but this is simple agriculture economics. 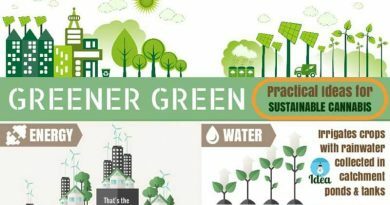 Hemp is a valuable crop that can tip the scales in the small farmer’s favor due to its incredible potential in so many areas – from hempcrete for healthy, sustainable buildings to bioplastics, food, eco-friendly papers and medicines. If farmers are convinced the crop is valuable, they’ll grow it. HT: What are the keys to getting this message across? DH: First of all, you have to remember that not too many American farmers know the truth about hemp because it was demonized for so long. So we start at a disadvantage. They don’t know the crop has a real legacy in North America. But this is changing as more and more states begin to re-evaluate hemp’s potential. So the answer is outreach, education. The industry has to get out there and help explain things to the farmers. 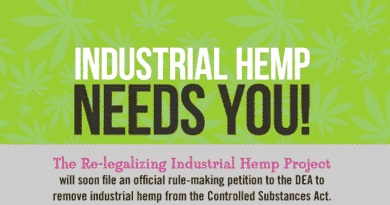 We have a strong and growing hemp products market in the United States, yet we have to import the raw materials. That’s the kind of straightforward argument that farmers understand. It’s business. And it’s a way to affect their livelihood and children’s futures. HT: What are the Jack Herer Foundation’s immediate challenges? DH: We try to work in a constructive way to regain value around the Jack Herer name and image.Things got a bit out of control on the trademarks after our father’s death, and we’re just getting a handle on it. I’d go to events in the years after his death and there would be companies selling Jack Herer-branded t-shirts, stickers – all kinds of things. Some people thought since they knew my father or were inspired by him, that this gave them free rein to use his name any way they wanted. It’s humbling to see our father’s name everywhere we go, but when other people are taking care of their families at the expense of ours, it doesn’t feel very good or particularly respectful. So we continue to try to fix this situation by focusing on positive things. The last thing we want to do is create any animosity in the industry. We’re just working hard to keep my father’s work relevant, engage people in a new way, and do the things we know would make him proud. © 2016 Hemp Today. All rights reserved. Image from Hemp Today. Posted by special permission. Original article appeared here.